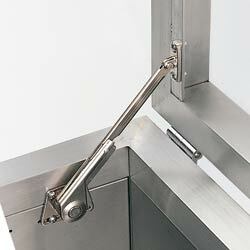 Our Gas Strut stays come in a variety of strengths that depend on the weight of the door. 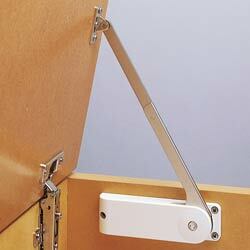 These popular lid stays are used in cupboards and toy boxes to add a soft close and locking system. Often found on bureau and drop down cupboards like drinks cabinets - these bureau stays will add soft close to the opening of the lid and hold it in position at the bottom. 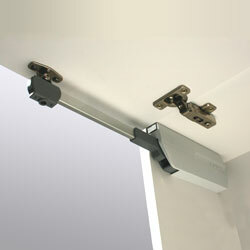 These Stays are designed for lift up lids - like those used in toy boxes. They offer a locking position at the top to allow you to toys out of the box, but then they offer slow close on the way down to stop the risk of trapped fingers. 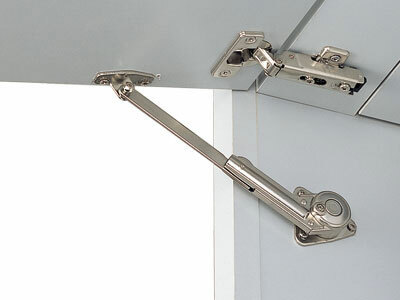 These stays are designed for Kitchen Top Boxes - a lot of modern kitchens now offer head height cupboards with doors that lift up, and these stays are perfect for the job. They lock in place at the top to allow you access and then they soft close when you push back down. 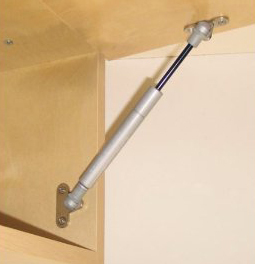 These heavy duty lift assist stays offer a great alternative for kitchen top box cupboards. they offer a strong solution to opening the cupboard whilst locking it in place at the top - they then offer a soft close option on closing. 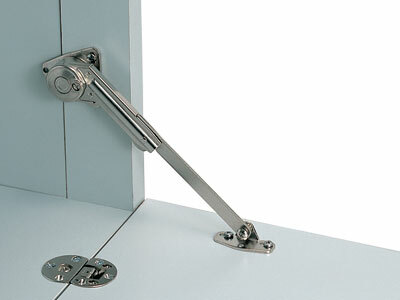 These soft down stays are designed for heavy doors that lift up - like toy boxes or foot stools - they lock in the open or closed positions, and are available in a range of strengths for different door materials.